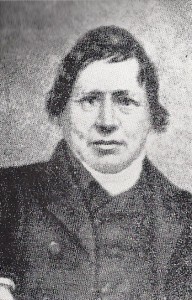 In 1818-67 Rev. Daniel Davies lived in the cottage which previously stood here. On 16th February 1818 Rev. Daniel Davies was granted a license to marry Mary Jones, daughter of Samuel & Elizabeth Jones of Nantyferwig and Bridgetfach. Rev. Daniel Davies owned shares in the following Cardigan ships: ‘Phoenix’, 54 tons (1825); ‘Valiant’, 73 tons (1825-36); ‘Cygnet’, 75 tons (1826-48); ‘Alert’, 73 tons (1826); ‘Resolution’, 42 tons (1827); ‘Susan Jane’, 37 tons (1828-36); ‘Frances’, 71 tons (1830-48); ‘Maria’, 34 tons (1836); ‘Rose & Ellen’, 91 tons (1843-51); ‘Agenoria’, 96 tons (1852); and ‘Neptune’, 37 tons, (1854). In 1826 Elizabeth Davies was born here. In 1834 No. 43, occupied by Rev. Daniel Davies, was indicated on John Wood’s Map of Cardigan. In 1841 Daniel Davies, 55, minister, lived here with Elizabeth Davies, 15, his daughter, and a servant. On 30th September 1841 Captain William W. Lloyd of St. Mary Street, son of Controller of Customs Thomas Lloyd, married Elizabeth Davies, daughter of Rev. Daniel Davies. In 1851 the following persons lived here: Daniel Davies, 69, Independent Minister; Elizabeth Davies, 53, his sister – paralysed and supported by her brother; Esther Miles, 21, house servant; Elizabeth Evans, 23, lodger; and Richard Hancock, 27, Independent minister. In 1861 the following persons lived here: Daniel Davies, 79, minister; Elizabeth Davies, 60, his sister; Betsy Evans, 32, niece; and Leah Phillips, 23, servant. On 18th January 1867 Rev. Daniel Davies died. In 1871 the following persons lived here: Mary Griffiths, 49, widow; John Griffiths, 25, her son, shipwright; Griffith Griffiths, 15, son; and Sarah A. Griffiths, 12, daughter. In 1881 Mary Griffiths, 60, house-keeper, lived here with her daughter Anne Griffiths, 22, and 2 boarders – Mary Evans, 60, dairymaid; and Frances Evans, 16, dressmaker. In 1891 the following persons lived here: Margaret Rees, 51, widow; Ellen Rees, 13, her daughter; and Thomas Rees, 11, her son. Three houses and a workshop to the rear of No. 43 were advertised for sale on 24th February 1893. The occupants were David Davies; Mrs. Eliza Elias; and John Jones. In 1901 the following persons lived at the 3 room property: Margaret Rees, 60, baker of bread (b. Llangoedmor, Welsh-speaking); Annie James, 24, her daughter; Ellen Rees, 20, daughter; and Rees Owen James, 11 months, grandson. Except where noted otherwise, all were born in Cardigan and bilingual. On 10th April 1909 Margaret Rees of No. 43 died. In September 1909 John James lived here. In 1911 the following persons lived here: William Thomas Lewis, 28, baker; Bridget Ellen Lewis, 30, his wife; Gwen Ann Horton, 19, their niece, general servant; and M. Rees Lewis, 1 month, son. On 2nd November 1913 Margaret Mary Lewis, daughter of baker William Thomas Lewis and Ellen Lewis of No. 43, was baptised at St. Mary’s Church, aged 12. On 25th October 1914 Frederick Arthur Sharpe, 21, married Susan Anne Horton, 27, both of No. 43. In August 1923 architect John Teifion James Williams of No. 10 Pendre was seeking tenders from builders for erecting a new house and business premises, probably here. In 1931 H. Anderson’s ‘Central Fruit Stores’ opened here. In 1933-37 Mrs. Anderson lived here. On 29th October 1934 Henry Jack S. Anderson of No. 43 died aged 54. ‘Andersons’ still traded here in 1936. On 25th March 1939 the Labour Exchange leased No. 43 on a 21-year lease. In July 1940, following the death of former owner J. Williams of Bryngogarth, Napier Street, No. 43 was advertised for sale – then on lease to the Labour Exchange. In 1940-55, this was the Employment Exchange. In February 1944 Mrs. M. Anderson of No. 43 died. In September 1970 the ‘Employment Exchange’ here was advertised for sale. On 8th April 1971 Tudor A. James & O. M. James moved their newsagent’s shop here from No. 7 Priory Street. In 1971-80 and in the 1980’s, No. 43 was a newsagent’s shop for T. A. & O. M. James. 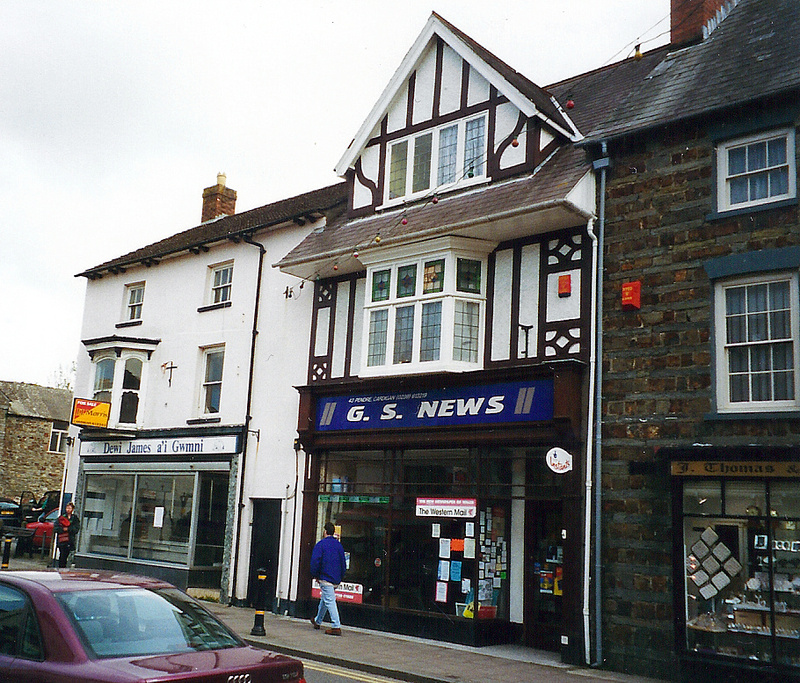 In 1989 this was ‘Pendre Newsagents’. Internal alterations were carried out in 1990. In 1992-2002 it was ‘G. S. News’. No. 43 was vacated in May 2002. In December 2002 a clothes shop was temporarily located here. 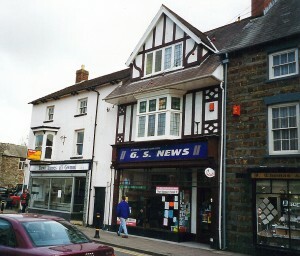 In March 2003 the shop became ‘Eleanor’s’ clothes shop, trading here in 2003-12. It closed in March 2012. A branch of ‘Gregg’s’ bakeries opened here in July 2012. Old photographs show a small one and a half storey cottage here. Lime-washed rubble with pitched slate roof. Three window range – two eaves-breaking first floor windows. Ground floor has doorway to left with deep shelf hood, and windows centre and left with stone sills. Plinth. William W Lloyd = William Wolley LLOYD master of the schooner Hibernia at the time of his marriage. Thanks Rob – useful extra information!